The entries in last weeks challenge were so wonderfully vibrant with the touch of pink in the cards. Congratulations to the winners. Looking forward to your entries for this week. Now we have beautiful native birds here in New Zealand but nothing as bright as the Cardinal. Wonderful! A fabulous image you have chosen Lesley. 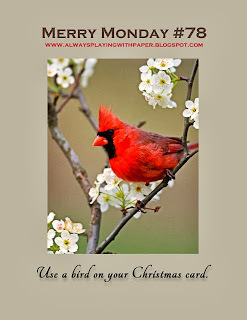 So perfect to inspire a great 'bird' Christmas card for this Merry Monday Challenge. I kept the red bird because it compliments the greens and I wanted to stay with traditionalish Christmas colours. Ink: PTI, Versamark, Versafine black. Check out the cards from the other design team members, I have had a sneak peak and they are all fabulous. Oh aren't you clever to use that embossing folder as a trim! Great idea. Your card is gorgeous, Karen! Love the bold design and colours. gorgeous card, your style is amazing! Beautiful card, Karen! That bird is amazing. But looks like you are a bird expert! What a wonderful collage of colors and textures, Karen! I love the way you did that embossed edge and that big, beautiful sentiment! Have a great week! Your card is beautiful Karen, I love the layout and the pretty colours. This is a great card, Karen. 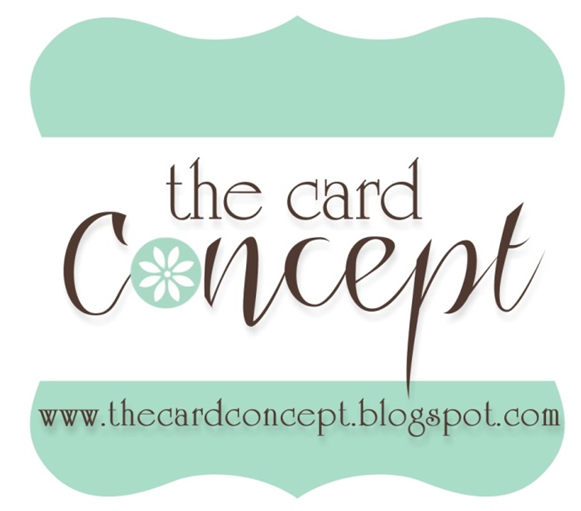 I love how you manage to arrange different elements so perfectly on your card! Nice arrangement of elements Karen, beautiful colours, such a lovely Christmas card. I love all the beautiful layers on this! This is amazing, Karen! Love the collage look, the fun colors and all the layers. Brilliant use of the embossing folder & that bird is gorgeous! This is a gorgeous card. I love how you've mixed the alphabets and you're creativity in using the embossing folder. Nice embossing, and I love your take on a non-traditional Christmas card! Just beautiful. Wow! Now that is a gorgeous card!! So bright and striking. I just love it! !